Adele Ferguson is one of Australia’s most impactful journalists, holding companies, institutions and regulators to account. But the obstacles to such reporting are formidable and merit urgent reform, she argues. Jack Banister reports. When Jeff Morris began working as a financial planner at the Commonwealth Bank in 2008, he realised things were more than amiss. He could see devastation being wrought on customers by the bank’s star financial planner, dubbed by insiders as “Dodgy” Don Nguyen, as well as “forgery, fraud and a cover up by management”, recalls superstar business journalist Adele Ferguson. In 2013, he went to the Australian Securities and Investments Commission with his concerns. Little did he know that the existence of serious problems within the bank weren’t news to the regulator. As would later be exposed, ASIC had conducted surveillance within the bank back in 2006. Concerned that ASIC was too slow to act, Morris then turned to The Age’s Ferguson, a move that kick-started the series of reports that led to the recently concluded Royal Commission into Misconduct in the Banking, Superannuation and Financial Services Industry. Morris would ultimately suffer PTSD, the breakdown of his marriage, and the loss of his career because of his whistleblowing. 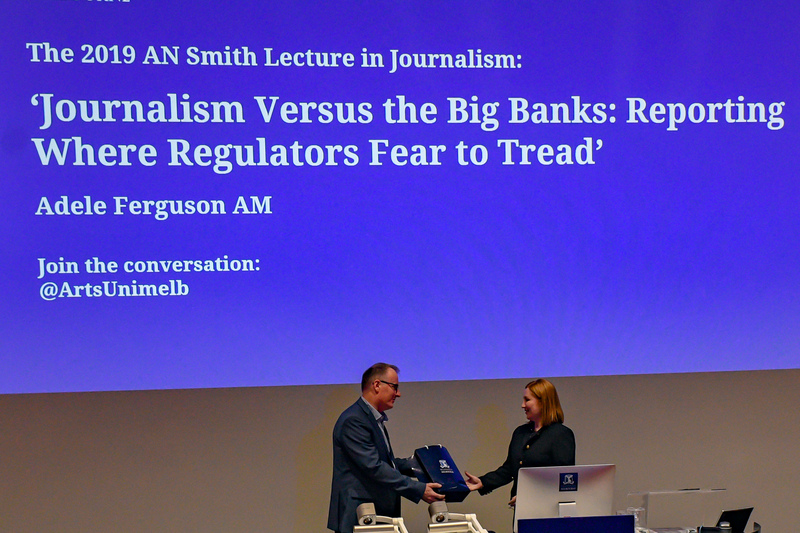 Delivering the prestigious annual A.N Smith Lecture at the University of Melbourne this week, “Journalism Versus the Big Banks: Reporting where Regulators Fear to Tread”, Ferguson reflected on the role of reporters in exposing misconduct, and the challenges faced by journalists to continue that mission in an era of diminished newsroom resources and tightening legal constraints. She also highlighted the plight of whistleblowers, whose bravery in exposing wrongdoing frequently came at enormous personal cost in Australia, where they were often treated like “dobbers and snitches”. She stepped up her campaign for better protection for whistleblowers like Morris, putting it in the frame of the Federal election campaign. “Whistleblowers are vital to a functioning democracy. They put everything on the line to expose wrongdoing,” she said. In the US, the role of the whistleblower was celebrated, she observed. This was not the case in Australia, and deserved to change. 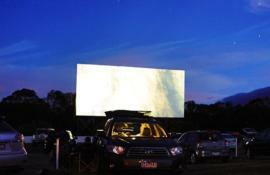 “Labor has promised to introduce a US style whistleblower reward system if it wins government. It would establish a protection authority, hire a special prosecutor and revamp current whistleblower legislation. The Coalition sees no need to change current whistleblower legislation. After Morris came forward, and the first of several joint investigations by Fairfax (now Nine) and the ABC’s Four Corners program went to air in 2014, Ferguson and her colleagues were inundated with phone calls and emails from out of pocket customers, and from new whistleblowers. One of those whistleblowers was from within the National Australia Bank, and came forward with documents that showed widespread misconduct within that bank’s financial planning arm. Ferguson said that in this instance the whistleblower, having observed Morris’ experience and the fallout, came directly to her, because he “saw independent media as the safe option, because there was no vested interest. ASIC and other regulators were “too afraid to use the full force of their powers”, and “too chummy” with the banks, she said. She illustrated this by recounting several examples of ASIC, in drafting its press releases to inform the public of wrongdoing, collaborating with the banks to get their sign-off on the wording, often diluting the sting and clarity of the language in the process. 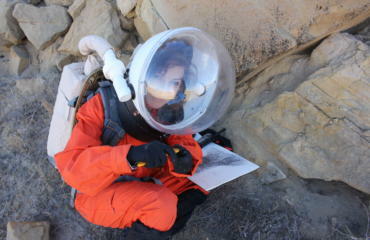 “It is hard to comprehend that the banks were given the opportunity to vet such press releases. If the wording or tenor didn’t hit the right tone, the banks would let ASIC know, and it would be modified accordingly,” Ferguson said. “ASIC bent over backwards to make press releases as anodyne as possible. Ferguson also put the spotlight on problems facing journalists in exposing these issues, including “draconian defamation laws, outdated suppression laws and feeble whistleblower protections”. She cited a recent editorial published by James Chessell, the group executive editor of The Age and The Sydney Morning Herald. “Chessell referred to (Australian Taxation Office) whistleblower Richard Boyle, who is facing 66 charges that could put him away for 161 years if found guilty,” she said. 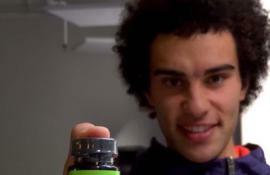 Boyle became a whistleblower in 2018 after working for the ATO since 2005, where he observed “toxic culture and practises that were going on, to the detriment of vulnerable taxpayers”. The ATO wrote to Boyle to warn him not to talk to the press, but he ignored the warning, and spoke to Ferguson the next day. Ferguson said that “he believed what he had to say was too important”, and that his case “has had a chilling effect on people speaking up”. Despite these challenges, Ferguson said there was scope for optimism. She said the media industry “is finding new and innovative ways to do its job”, pointing to collaborations such as the epic effort by an international team of investigative journalists on the Panama Papers and, locally, between players who would have previously been competitors, such as herself and other Age and Sydney Morning Herald journalists, working with the ABC. Asked if this would continue now that the former Fairfax mastheads have become part of the Nine media enterprise, she said she had been assured it could. She finished by reflecting on the most recent Digital News Report by the University of Canberra, released in June 2018. “It found that trust in news is improving. Over the past 12 months general trust in news has risen from 42% to 50%. It said trust in news on social media remains low at 24%. “It found that Australian news consumers are increasingly willing to pay for quality news from established brands they trust. There has been a 10% rise in the number of people paying for news in the past two years,” she said. 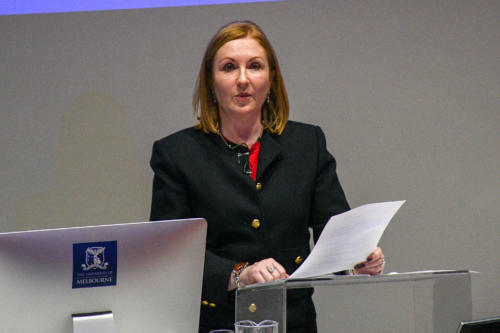 An episode of the The Media Files podcast about Adele Ferguson’s A. N. Smith Lecture on Journalism will shortly be available.